Linguistic Studies (LS) is the official collection of scientific papers of Department of Ukrainian Language and Applied Linguistics, the Philological Faculty, Donetsk National University, Ukraine published two times per year. There are approximately 40-45 articles per issue. The first volume was published in 1994. 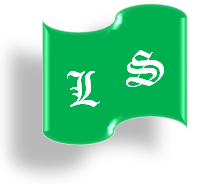 LS is a refereed the book of collected papers. It carries articles, survey articles, books and theses reviews and informational notes on all aspects of word languages. The collection focuses on actual problems of modern linguistics and welcomes manuscripts on a wide variety of topics including cross-disciplinary / multidisciplinary submissions that provide clear implications for research in the language field. Dedicated to the current problems of the theory of language, derivative categories and processes, evolution of morphological and syntactic categories, topical issues of comparative-typological study of languages and text linguistics, discourse studies, and discourse analysis, the features of functional semantics of lexical and phraseological units, the areas of applied linguistics, the peculiarities of sociolinguistics, ethnolinguistics, onomastics and history of languages, and others, LS seek to serve the professional interests of researchers at all levels of language system. The collection welcomes submissions of the highest quality that report theoretical and empirical linguistic research, that describe main trends and innovative processes in Ukrainian, English, German, French, Russian and other languages. No other restrictions are placed on the subject or method of contributions submitted. All submissions must be previously unpublished. The editorial board of the collection offers manuscripts from Doctors and Candidates of Philology, Post-Graduate Students and Lecturers. Contributions from all countries are invited. The language of publication may be Ukrainian, English, Polish, Bulgarian, Russian and others. Linguistics, language, current problems, theory of language, derivative categories, processes, Slavic languages, Germanic languages, Romanic languages, directions, evolution, morphological category, syntactic category, comparative-typological study of languages, text linguistics, discourse studies, discourse analysis, features, functional semantics, lexical and phraseological units, applied linguistics, peculiarities, sociolinguistics, ethnolinguistics, onomastics, history of language.